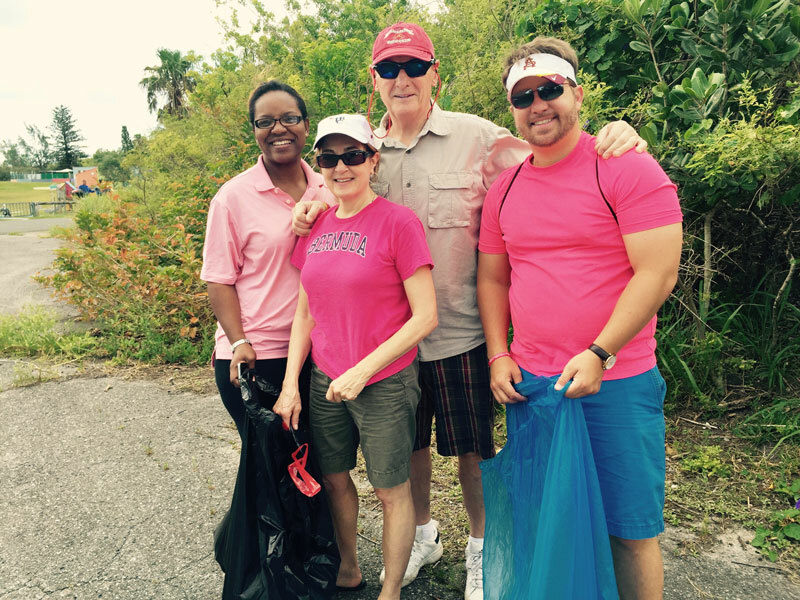 The Bermuda Tourism Authority [BTA] has two more volunteer beach clean-up projects in its sights in the coming weeks and is calling on volunteers who care about tourism to join. On Saturday the BTA will partner with the Bermuda Economic Development Corporation’s Somerset Economic Empowerment Zone for the Mangrove Bay Beach Community Clean-up Day. Cambridge Beaches Resort, Keep Bermuda Beautiful [KBB], the Department of Parks and Sandys Parish Council are also supporting the effort. The decision to have a collaborative clean-up project is one of the outcomes of a community meeting regarding the Mangrove Bay Beach area earlier this month. Discussion among stakeholders covered the important need to balance any greater economic activity around Mangrove Bay with diligently preserving the natural beauty and cleanliness of the beach. “The BTA supports the inclusive dialogue on Mangrove Bay initiated by the Somerset Economic Empowerment Zone because appropriate entrepreneurial investment in the area will play a role in an improved tourism product overall,” said Chief Product & Experiences Development Officer Pat Phillip-Fairn. The BTA said, “The Mangrove Bay Clean-up will take place June 27, 2015 from 9am until noon. Tourism industry partners and certified tourism ambassadors [CTA] are encouraged to register online. CTAs who participate will receive points toward their annual recertification. “Meantime, another beach clean-up opportunity for CTAs and tourism industry partners has emerged for July 5, 2015. The BTA will partner with KBB and the U.S. Coast Guard in a clean-up of the public section of Elbow Beach. “U.S. Coast Guard cadets on the training cutter The Eagle are scheduled to be in Bermuda on America’s Independence Day holiday weekend and the cadets have sought out a community service project. Arrangements have been made to do litter clean-up at Elbow Beach. “The BTA will provide transportation for the visiting cadets and will once again recruit tourism industry volunteers to participate. Last month the BTA marshalled troops to participate in clean-up efforts at Warwick Long Bay and Clearwater Beach, as part of the KBB’s island-wide clean-up day.